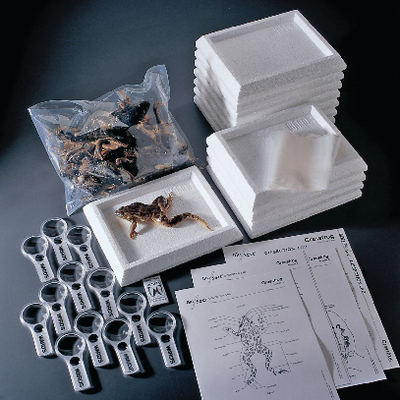 Grassfrog specimens and all dissection materials, including trays and pins, magnifiers, specimen storage bags, and dissection manual, are all included in one comprehensive package. Specimens are vacuum packed. The kit includes enough materials for 12 setups.